Course Fees: 1,500€ for a registration paid by February 1st, 2020. The course start on April 1st, 2020 at 06:30AM and concludes on April 25th, 2020 at 06:00PM. This is course is NON RESIDENTIAL. 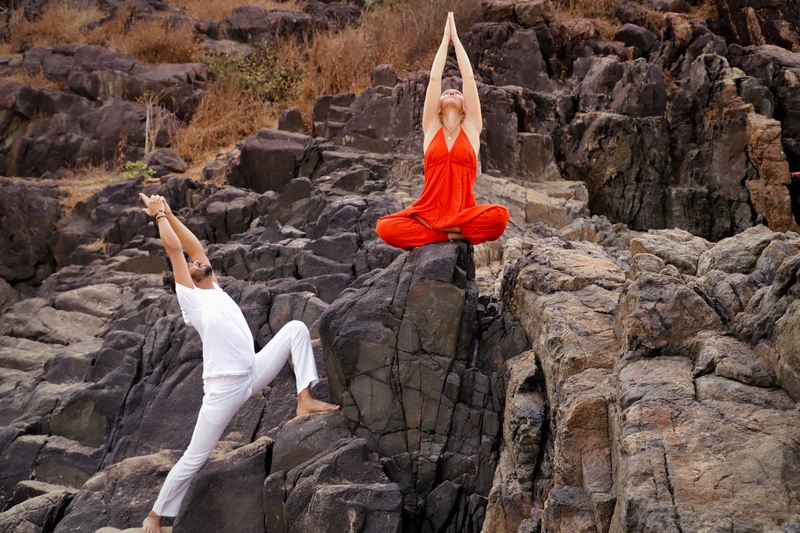 During a Yoga Teacher Training course you will be practicing daily Asanas and Pranayamas. Therefore having a daily regular practice is highly recommended before attending any Intensive Yoga Teacher Training Programs. Hatha Yoga is the base for deeper practice of yoga. In the first week of the course we will focus on practicing asanas in Hatha Style. Holding the asanas for 9-12 breaths and observing the changes in the body, breath and mental alchemy. There are two major goals of this training. Foremost, to understand the depth of the asanas and how to practice them with alignment, breathing and focus. Second goal is how to transmit the knowledge of practice to others. The root of the Vinyasa Yoga is the Ashtanga Yoga designed by Krishnamacharya. This Course is not about the Ashtanga Yoga Series as per Pattabhi Jois, therefore classes won’t follow the Primary Series. Vinyasa modules will be based on different topics such as Hips Opening and Backbending, Core Centering and Balancing pose etc. This Vinyasa Yoga Teacher Training Course is based on how to teach Asana practice. From the second day of the course students will be teaching their yoga class. Students will be ask to prepare their own module. Basic hands on adjustment will be explained, each bodies are different so there is not ONE adjustment for everyone. We guide students on how to observe student’s bodies during the practice in order for them to be able to correct and adjust them with words. There will be daily Pranayama practice. The breathing is essential to place and feel a posture (Asana). Furthermore the control of the breath is the control of our emotions it is then important to be able to stay calm and relax during a full vinyasa yoga class. By the control of the breath the subtle work of the Bandhas will be explained. There will be discussion about the Yoga Philosophy and how to adjust it with our modern life. Kriya practice will take place such as Kapalabathi, Jalaneti and Trataka. Students will be guided to prepare and teach different types of Vinyasa Module. This intensive yoga course will allowed to prepare a solid base to become a good practitioner and teacher. ‘Radiantly Alive’ is one of the famous destination for yoga practitioners and teachers which is located in the heart of Ubud, Bali. Most of the popular yoga teachers from around the world choose Radiantly Alive to host their courses and workshops because of its natural beauty and hospitality of the people. Students can use the facility of Mats, blocks, bolsters and belts during the training. Ubud can be called as heart of Bali with beautiful temples, local markets, rice fields, and royal places. In this place one can feel the modern world blending with the ancient cultural roots. There are many nice accommodations in walkable distance to Yoga Shala which will give plenty of option to choose according to the budget. One can enjoy the delicious food from near by restaurants which will provide many options such as vegan, vegetarian, gluten free menus. Weather : During April month it will be 28 to 34 degree of temperature can be felt. Some times it will be hot and humid. We advice our students to keep their body hydrated with fluids such as water, coconut water and juices. a) On arrival for 30 days can’t be renewed. b) Visa on Arrival 30 USD, can be renewed with an immigration agent directly from Ubud. Please note that for this you will need a day off to go to Denpasar. In order to register please fill the Registration Form and I will get back to you. As a general rule a participation is confirmed after the deposit of 420€. The remaining amount of the course has to be paid two months before the course starts. Looking forward to practice with you!